There is so much evidence supporting the brain benefits of exercise and physical fitness that I am convinced this is our magic pill. I was also convinced that I knew all I needed to know about reaping the benefits from exercise. 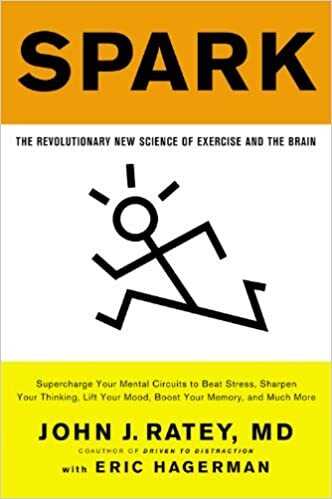 When a friend passed me a copy John Ratey’s book – Spark: the Revolutionary New Science of Exercise and the Brain – I almost dismissed it. Surely there was nothing more he could possibly share that I hadn’t already read about. Just as I was about to reach past it to read a different book, I thought about how I am always reminding G1 to keep his mind open. It is a mistake to believe we know everything and the greatest danger lies in the fact that we close ourselves off to other possibilities. So I started reading Spark and it did not disappoint. Personal bests was one of the ideas from Spark that caught my attention. Being a nonathlete in school, I can identify with the feeling of discouragement in PE when you’re not as good as the other kids. Phil Lawler (PE teacher from Naperville Central High School) assessed his students on effort rather than skill. That meant they didn’t have to be natural athletes to do well. It also had the added benefit of promoting a growth mindset as the students link their effort to their PE grades. It can be pretty subjective to assess how much effort a student puts in just by looking at them work out. As Phil Lawler discovered, heart rate monitors are a better way to track student effort. Suddenly I wonder if I been expecting too much during our family hikes. Perhaps it’s time to get the boys a heart rate monitor to check their effort more objectively. Studies from the California Department of Education consistently demonstrate that fitter students have better test results. In a review of over 850 studies examining the effects of physical activity on school-aged children, they concluded that physical activity has a positive influence on memory, concentration, and classroom behaviour. It’s not just about getting kids involved in sports and it doesn’t matter whether they’re good or bad at it. What we’re after is physical fitness. We want children to develop a healthy relationship with physical activity for life where the focus is on being fit. As Phil Lawler discovered with his runners, being fast didn’t necessarily have anything to do with being fit. 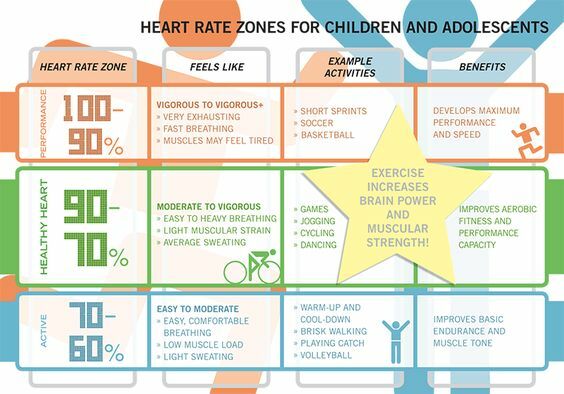 In order to build physical fitness, you need to know what heart rate zone your child is working in. That’s where heart rate monitors come in handy. The bottom line – for now anyway – is that chest straps are still more accurate than optical wrist monitors. Since our aim is to meet specific fitness goals, accuracy is paramount. 1. 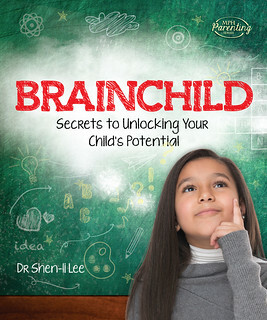 Prepares the brain for learning by increasing alertness, attention, and motivation. While most of us think of motivation as the thing we need to get exercising, neurophysiology shows us that exercise creates a positive feedback on motivation. Exercise increases the levels of dopamine in brain, a hormone that motivates us to act. It also increases the stress hormone, cortisol, which boosts attentiveness, our desire to perform, and motivation. 2. Makes the brain learn faster and function more efficiently. Vocabulary learning was 20 percent faster after intense physical exercise (high impact anaerobic sprints) – Winter, B. et al., Neuro Biol Learn Mem (2007). People who exercised during their workday were 23 percent more productive than when they didn’t exercise – Coulson, JC. et al., International Journal of Workplace Health Management (2008). 30 minutes pedaling at a moderate intensity on a stationary bike improved cognitive test results on memory, reasoning and planning. Subjects were also able to complete the tests more rapidly after exercise – Nanda, B. et al. J Clin Diagn Res (2013). After running on a treadmill, subjects performed 20 percent better on memory tests than they did before exercising. They also increased problem-solving abilities by 20 percent. – Lo Bue-Estes, C. et al., Percept Mot Skills (2008). 3. Promotes the growth of new brain cells in the hippocampus. Sustained aerobic exercise promotes neurogenesis – the creation of new neurons. These new neurons are important among other things for learning temporally and/or spatially complex tasks. – Science Daily. 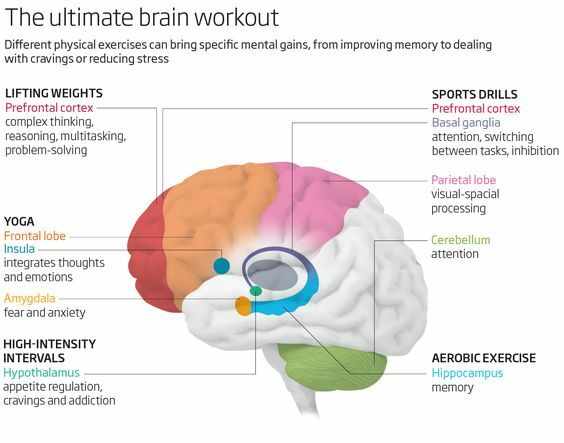 While exercise may create new neurons, it is equally important to perform mentally challenging activities after exercise to build and strengthen connections to these neurons. In other words, creating these neurons won’t do much for us unless we wire them into our existing network through complex brain activity. When to work out: before a cognitively demanding task – e.g. a project that requires complex analysis, a brainstorming session, or learning new material. How much to work out: aerobic exercise, like jogging for 30 minutes, 2 to 3 times a week for twelve weeks was linked to improved executive function. What sort of work out: aerobic exercise (like running) combined with activities that require complex motor skills (like rock climbing). Alternatively, you can choose a sport that simultaneously challenges the cardiovascular system and the brain (like tennis or dancing). Aerobic exercise creates the neurons and factors that support it. Activities with complex movement builds the connections between the neurons. Combine both activities and you’ll have a pretty effective exercise prescription. 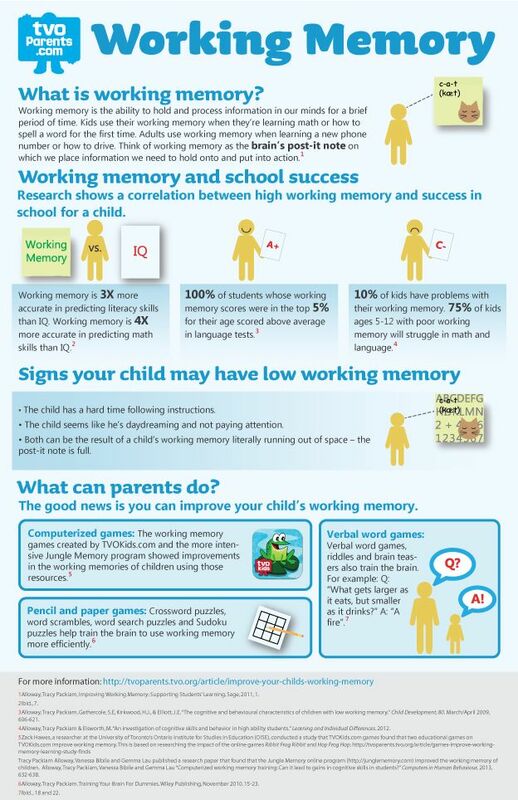 Working memory is an important executive function that helps children learn and do well at school. It is three times more accurate in predicting literacy skills and four times more accurate in predicting math skills compared to IQ. When children have poor working memory skills, they struggle. They have a hard time following instructions and often seem like they are day-dreaming and not paying attention. It helps you remember what to focus on. Working memory capacity is limited. Most of us only remember up to seven items, give or take a few. Children with low working memory capacity have trouble remember instructions; they struggle in maths and reading comprehension. The brain is plastic and we can change it with practice. Cogmed working memory training program is recommended for 45 minutes, 5 times a week, for 5 weeks. It improves working memory capacity by 15-20%. When children go through the training, they can remember longer instructions and improve in their attentiveness. More than 50000 children have benefited from working memory training in more than 20 countries. Cogmed Working Memory Training is an evidence-based intervention for improved attention. 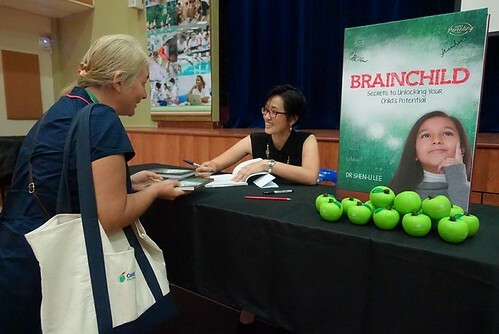 Based on the concept of neuroplasticity and with more published research behind it than any other cognitive training program, Cogmed is trusted by healthcare professionals and educators around the world. Among the thousands who have already completed Cogmed, 8 out of 10 show noticeable improvements in concentration. Independent research has repeatedly shown improvements in working memory, attention and academic performance. Now, the Cogmed Working Memory Training platform is available on the iPad®. While the app is free, a full Cogmed Training is provided and administered by a healthcare professional and normally associated with a fee. Computer based solution for increasing working memory capacity. It combines neuroscience with innovative computer game and professional support. Each program has 25 sessions that last from 30 to 45 minutes each (15 to 20 minutes for Cogmed JM). The exercises need to be done 5 days a week for 5 weeks. Complexity level of the exercises are adjusted as the children progress through them. Cogmed comes with coach training. Find out if Cogmed is available in your city. 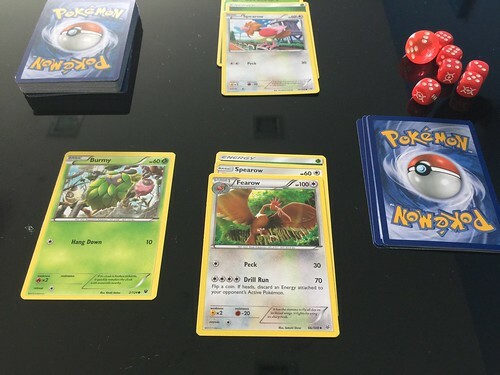 G1 has a new craze – the Pokemon Trading Card Game. I thought at first that it was just another ridiculously expensive hobby until G1 learned how to play the game properly and taught it to me. It turns out that there is actually quite a lot a child can learn from this game. Pokemon Trading Card Game (TCG) is essentially a board game. By virtue of that fact, it has all the expected benefits of playing board games. Like Mahjong and Chess, there is also a level of complexity to Pokemon TCG that makes it a great workout for your brain. To play the game, each player requires a deck of 60 cards. A deck consists of Pokemon cards, trainer cards (item/supporter/stadium), and energy cards. While newbie players can purchase ready-prepared decks, they can eventually move on and create their own. There are over 600 species of Pokemon and over 11,000 unique Pokemon card types. That’s quite a feat just to get your head around the many different types of cards available. Knowing the different types of Pokemon cards available is not only helpful for building your own deck, but it will help you anticipate your opponent’s strengths and weaknesses. Aside from Pokemons, you also need to equip your deck with trainer/item/supporter cards and energy cards. How many of each type of card you choose to have in your deck is entirely up to you as long as they all add up to 60 cards in the deck. To complicate matters further, different Pokemons use different types of energy. There are ten different types of energy – Grass, Fire, Water, Lightning, Psychic, Fighting, Darkness, Metal, Dragon and Fairy. Then there are special energy cards, such as Double Colourless, Rainbow, Plasma, Potion, Darkness, Recycle, Boost, and Crystal – just to name a few. 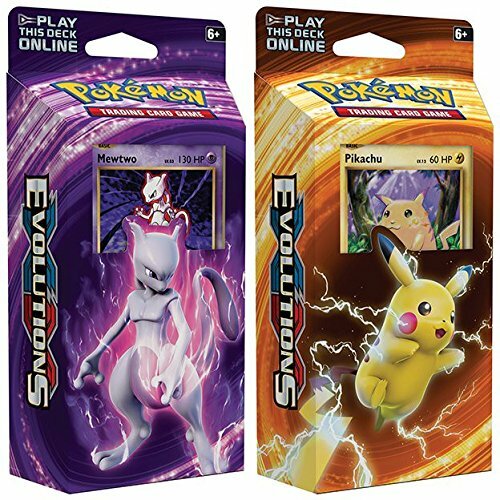 The trainer cards have three main categories – item, supporter, and stadium. Like the Pokemon cards, each of these offer a variety of different cards you can select from to include in your deck. The cards you choose to include in your deck will depend on the strategy of your game. Like the board game Risk, Pokemon TCG is a mixed game play of strategy and chance as you try to defeat your opponent through a series of Pokemon battles. Which Pokemon should you send out first? Where will you place your extra energy cards? Should you use a trainer card now or later? To play well, you need to be able to anticipate your opponent’s game play based on the moves they make and by deducing the cards they’re holding in their hand. Like a general on the battlefield, you are constantly assessing your strengths and weaknesses against your opponents strengths and weaknesses. Even after the game is won or lost, the thinking isn’t over. To be better prepared for the next game, you can evaluate your deck. Were there enough energy cards? Did your Pokemons work well together? Did you have the right trainer cards to execute your strategy effectively? What was good about your deck? What could have been better? Pokemon TCG helps children practice mental arithmetic. During game play, they need to add, subtract and multiply hit points (HP). The thing about mental math is that you only get better at it if you practice. Unfortunately, most children find the practice tedious. Pokemon TCG is one way to add some fun to the practice. At times it seemed ridiculous, but then I’d hear my son plop down two cards and talk out more complicated math problems than anything he saw at school: “160HP minus 110HP plus 30 resistance points minus 20 weakness points equals 60 points left,” he’d say, then plop down two more cards to solve. For the older children, Pokemon TCG is a great way to learn about probability. There is a certain element of luck involved when playing the game. Children can learn how to calculate the odds of picking up a specific card or the chances that the card they need has ended up in the prize pool. Knowing the probability of these factors can influence the decisions they make when planning a deck. Practicing reading can also be a chore for a lot of kids unless they’re reading something they want to. While there may not be as many words on a Pokemon card as there are in a single page of a book, Pokemon reading can be pretty challenging. For example, there are some tricky words like “resistance”, “immensely”, and “overwhelming” – just to name a few. 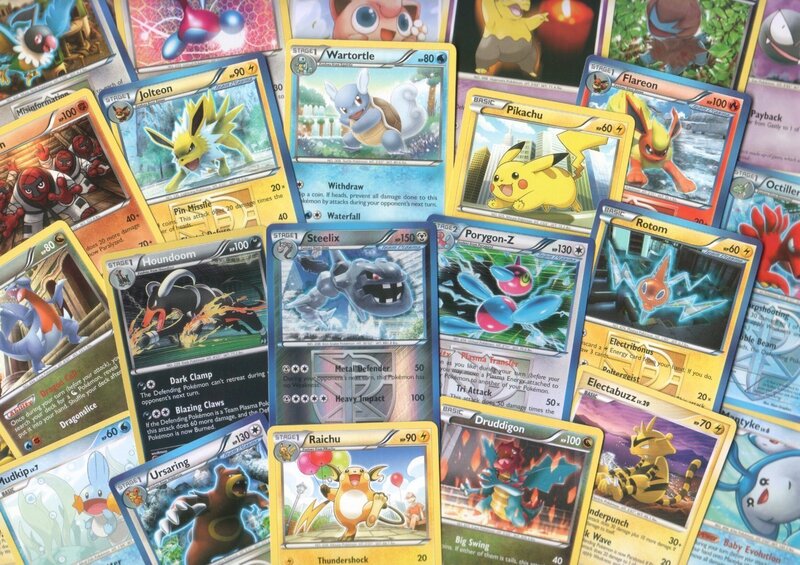 Organising Pokemon cards can teach younger children about classification. The Pokemon can be classified by type, evolutions, variants, or any other factor you choose. 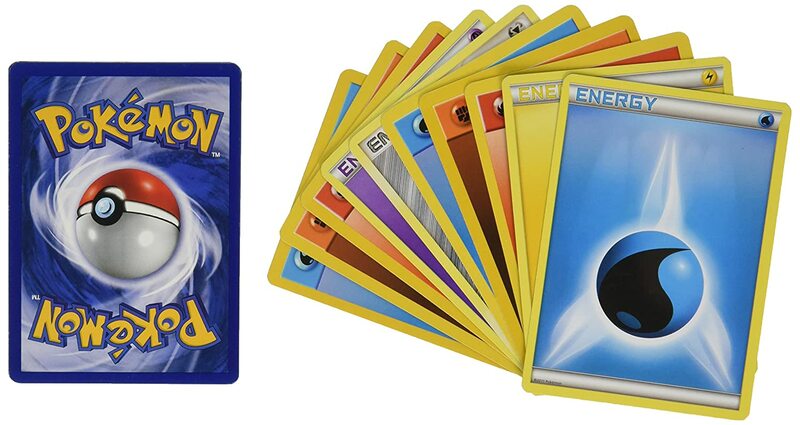 Pokemon TCG is a “trading card” game which means kids will trade cards. During a trade, they need to weigh up the differences between what is a “good and fair” trade versus how much they really want the card and what they’re prepared to give up for it. Suffice to say that this has been one of the most challenging areas of development for the kids. There is a steep learning curve to the art of negotiation. In some instances, the children must face the inevitable feelings of regret when they allow emotion to control their decisions. Trading between young children is difficult to moderate and sometimes a painful experience for the adults that must adjudicate when problems arise. Nevertheless, I am beginning to see the value in these challenging lessons for building character. Pokemon TCG is a competitive game with winners and losers. Not only does it offer them the opportunity to experience healthy competition, the children can also practice good sportsmanship as they learn to win and lose gracefully. If you have a budding Pokemon Master, you can attend local events to play against other Pokemon players. It seems that there are even world championships for the really good players. There are many ways to develop social skills that don’t require playing card games, but any opportunity that gets your kids out there and actively practicing their social skills will always be a good thing. If they’re going to swap cards and play the game, they need to socialise and make friends. They’ll also learn quickly that sore losers, cheats, and kids who don’t play fair aren’t going to get very far in this arena. 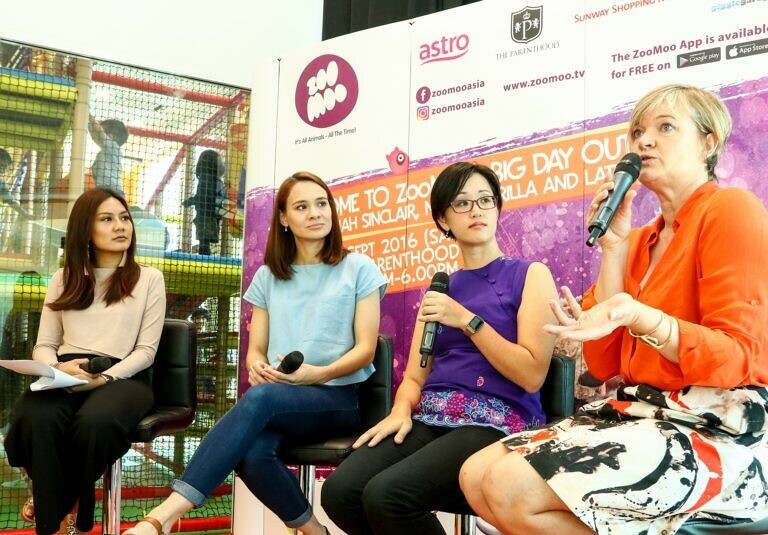 In this day and age of technology and a highly plugged-in world, we really do need to embrace the activities that encourage our children to spend time away from their screens. Pokemon TCG is one way to do that. I mean, have you seen how much time a kid can spend organising cards? Enough said. If you’ve never played Pokemon TCG but would like to give it a go, there are Pokemon Trainer Kits that will teach you the game step-by-step with half decks of 30 cards. Pokemon Trading Card Game is essentially a physical board game but you can also play the online version if you don’t have anyone to play with. 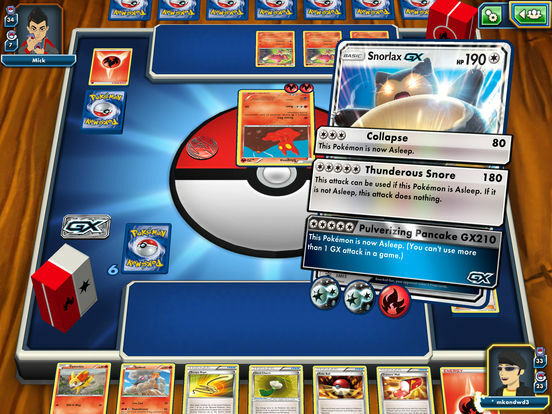 Pokemon TCG Online is available on Windows, Mac, iOS, and Android. 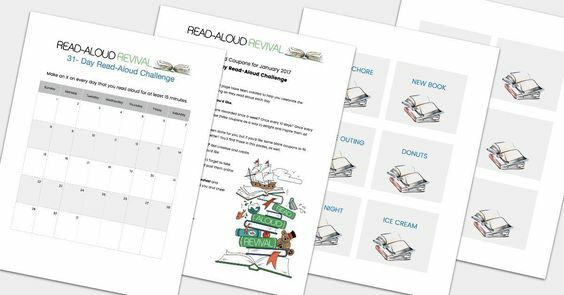 It’s the start of a new year and we’ve decided to kick it off by joining the Read Aloud Revival Challenge. What is the Read Aloud Revival Challenge? The Read Aloud Revival Challenge was a concept developed by Sarah MacKenzie. The challenge encourages children to read aloud every day (or as often as possible) for at least 15 minutes. They can read aloud to anyone they want to, even their stuffed toys. The important thing is that they read aloud. The goal is to read aloud for at least 25 days in January – the more the better. Of course, you don’t have to limit this to January. You can continue this activity throughout the year if you want to. The goal of this challenge is to help children inculcate good reading habits and to develop a love for books. Even if you have a child who loves to read, like we do, there are other great reasons to participate in the Read Aloud Revival Challenge. In his book Train Your Brain, Dr Ryuta Kawashima wrote about the benefits of reading aloud as a method for training your brain. Of the various activities he looked at, including thinking, solving math calculations, watching TV, writing, and reading, he found that reading aloud and solving simple math calculations quickly activated the most parts of the brain, including the prefrontal cortex which is responsible for executive function. 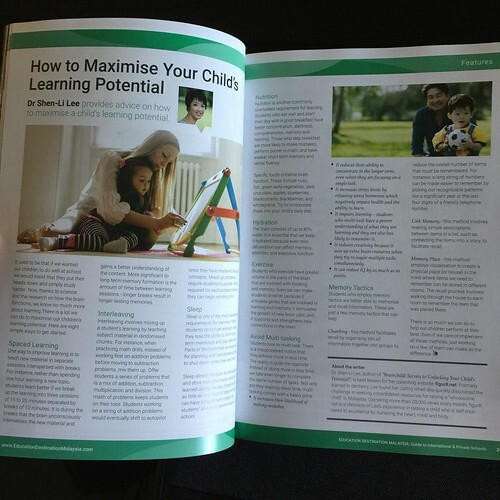 Although most of Dr Kawashima’s research demonstrates the benefits of reading aloud in the older population, he believes that reading aloud could be a simple way to training the prefrontal cortex. The rules of the Read Aloud Revival Challenge state that your child may read to anyone they wish. I’ve encouraged the boys to read aloud to each other so that they can also practice their listening skills. In a controlled longitudinal study, there were significant increases in both receptive and expressive language scores for children 18 months and older in the intervention group; these gains were seen both with respect to specific words which were included in the books given out and also with respect to the general test. Admittedly, this benefit applies more to adults reading to an older child, but it could also apply to an older child reading to a younger child. In the previous post, we wrote about using musical instruments as a brain training exercise. Well, we know that the other thing that is also good for the brain is learning languages. And now a study by Yang et al., 2014 provides more compelling reasons why learning a second language can be a good brain training exercise, regardless of your age. Why do I get excited about these things? Because, I like efficiency – one activity, multiple benefits. We live in a busy world with busy lives. If we have to add too many things onto the daily checklist, chances are, something isn’t going to get checked. In our multi-cultural world, I don’t think I need to highlight all the ways being able to speak multiple languages is advantageous. Now you can take all those advantages and add brain training to the list. Like learning music, there are loads of ways to make learning languages fun with games and interactive programs. Before I get in trouble for oversimplifying the language learning process, let me clarify that nothing beats immersive language classes with a real, live language teacher. This is just an easy way to add a bit of brain training to your day and pick up a few new words in another language that you can use in your daily interactions. There are lots of language apps and programs that are pretty fun to use to reinforce your learning. Here are a few we have used that we have enjoyed. 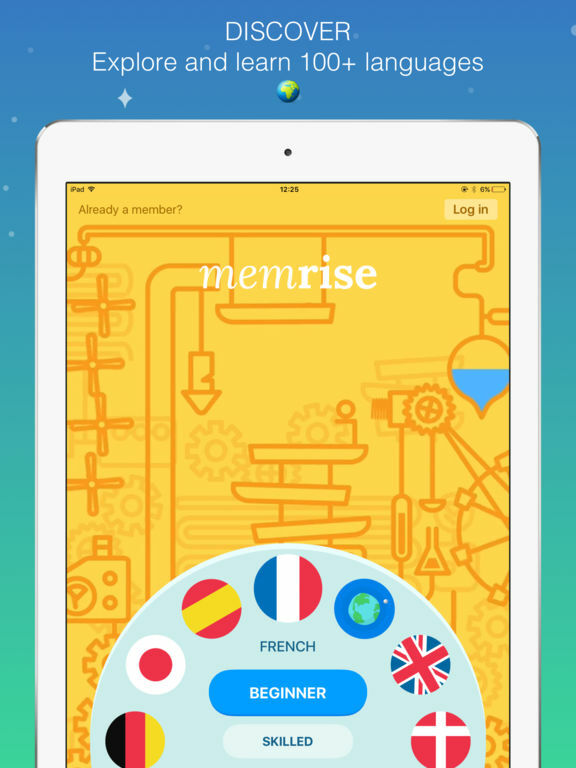 Memrise brags an offering of over 100 languages to choose from, including Spanish, French, German, Portuguese, Chinese (Traditional and Simplified), Japanese, Korean, Italian, Dutch, Danish, Swedish, Russian, Arabic, and many more. Using science-backed learning methods and an adaptive engine, it helps you to track your progress and remind you to review your learning at just at the right time. Multiple game modes boost different aspects of your memory to keep you flying high on your learning journey. Over 100 languages and topics to choose from, learn any of them for free! 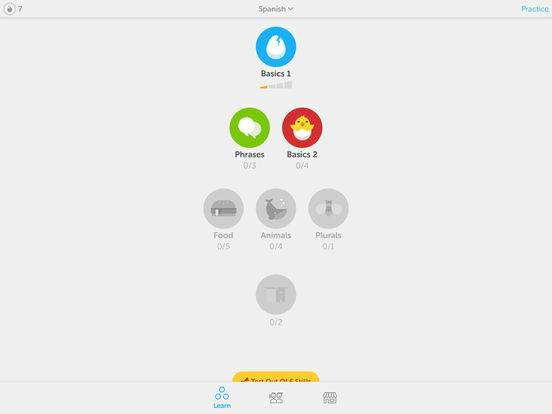 Duolingo is a free app that covers lessons on the following languages: Spanish, French, German, Italian, Portugese, Dutch, Irish, Danish, Swedish, Turkish, Esperanto, Norwegian, Ukrainian, Russian, Polish, Welsh, Hebrew, Vietnamese, and Hungarian. This app also allows you to learn languages in a language other than English. Up the ante by competing against your friends for a little competitive motivation. MindSnacks offers a series of apps for learning languages. Each app offers challenging games designed by education experts. The games teach specific skills and help create a well-rounded learning experience for both children and adults extending well beyond basic flashcards. MindSnacks unique algorithm reinforces the learning process by using proven methods from the field of memory studies. Over time, the games adapt to individual performance, selectively repeating words, phrases and grammatical points that you have previously struggled. As you progress through the lessons, the app adjusts the program to make it more a effective learning experience. The first lesson is available for free trial. If you like it, you can purchase the entire course of a single language for $4.99 or purchase the All Language Pass for $19.99. 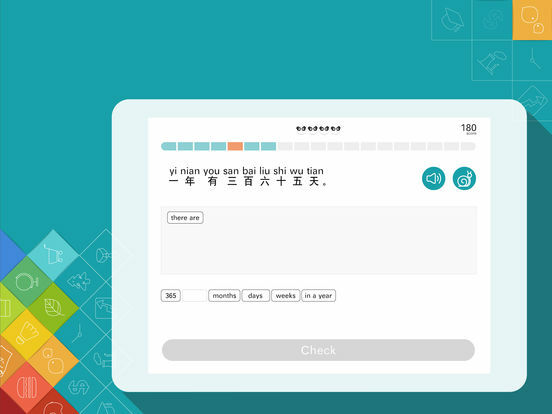 Fluent U allows you to learn Chinese, Spanish, English, French, German, or Japanese. Even though there aren’t as many languages available as the other apps, Fluent U is unique in that you can learn a language by watching videos in that language. It is unfortunate that this app is only available for Chinese. I thought the lessons were well planned and organised for an app. When you consider that it is free (and also ad-free!) it is pretty hard to beat. 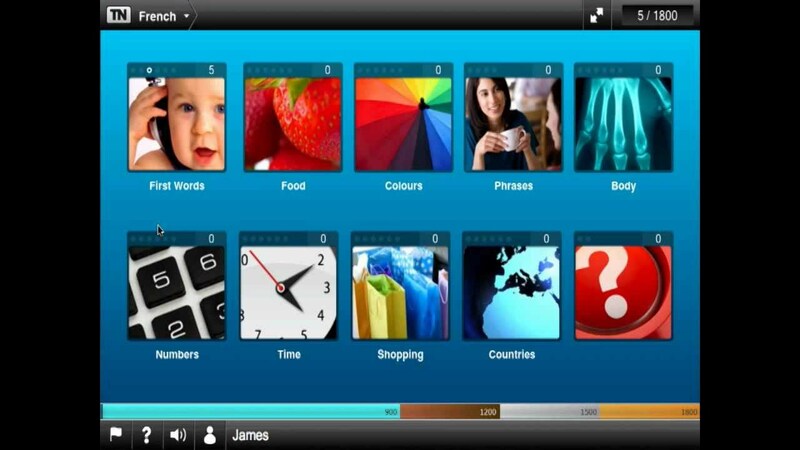 Eurotalk is a software program that teaches basic vocabulary from first words, food, colors, phrases, parts of the body and numbers, to telling time, shopping and countries. Each topic contains listening practice, an easy game, a hard game, a printable dictionary as well as the opportunity to record your voice and hear how you sound compared to the two native speakers tutors. Each question that is answered correctly increases your score – get an answer wrong and points will be lost. There are 1800 points in total to gain from the disc. A full score earns the user a ‘Gold Award’. Rosetta Stone is an interactive software program that uses images, text, and sound to teach languages through spaced repetition and language immersion. Read more about it here.